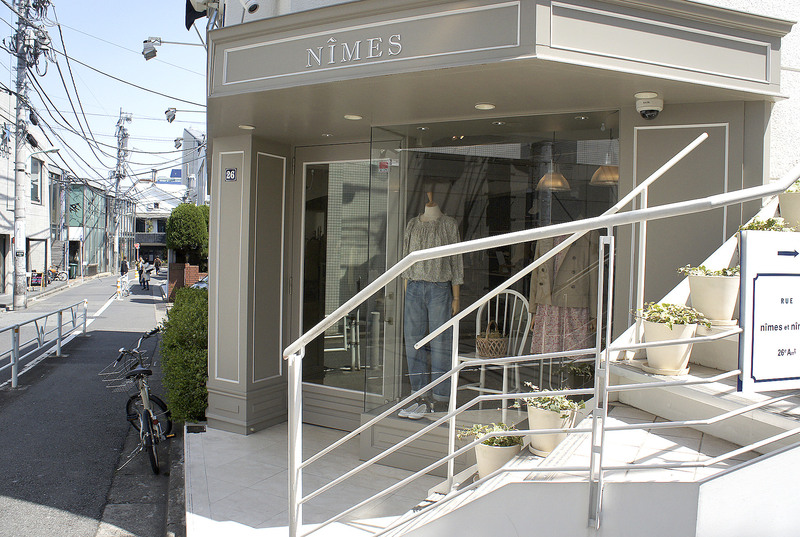 NÎMES Daikanyama is a shop in Daikanyama that's been around for over 20 years and remains true to its origins. The shop specializes in French casual styles, and stocks its shelves with striped cutsews and ballet shoes. The exterior brings to mind a boutique on the streets of Paris, while the interior is well-lit, chic, and has a mature, steady vibe about it. The items are tastefully displayed and easy to peruse. The most popular item within the shop, which handles its own women's line exclusively, is the striped cutsew. The cutsews are made out of an original material and color design that were developed after much trial and error. In addition to the standard colors, a new color is released each year, and is said to be the key to the shop's continuing popularity. It's the kind of store that a young girl can shop at, and continue shopping at even after she's married and has a child. Perhaps she will even bring her daughter to the shop. The shop occasionally brings in imported goods and antique knickknacks and calls for regular visits.